Free Fire HD 8 Screen Protector + 1 Stylus, US Seller!! Verizon Hard Rugged Shell Case Cover Sleeve Skin for Samsung Galaxy Tab S2 Black. We distribute iPod & iPhone accessories worldwide. Built-in screen cover protects the screen without affecting functionality. Fits all Paperwhite generations prior to 2018 (Will not fit All-new Paperwhite 10th generation). FREE SCREEN PROTECTOR + PEN! FREE SHIPPING! US Seller! Appears new. Does not include charging dock or ac adapter. sold as shown pictured. Item part number: 53-009980. Compatible with Fire HD 10. (7th Generation - 2017 Release. (7th Generation - 2017 Release.). Item part number: 53-009981. ). Amazon Fire 7 Tablet Case (7th Generation, 2017 Release), Punch Red - NEW !!! Designed by Amazon to protect and perfectly fit your Fire 7 (only compatible with 7th Generation - 2017 release). Automatically wake your tablet or put it to sleep by simply opening or closing the case. 5 out of 5 stars - Amazon Fire 7 Tablet Case (7th Generation, 2017 Release), Punch Red - NEW !!! 1 product rating1 product ratings - Amazon Fire 7 Tablet Case (7th Generation, 2017 Release), Punch Red - NEW !!! This is a Amazon Kindle Paperwhite Leather Case that is Royal Purple in color. 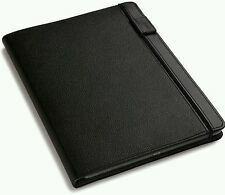 This is a must have to protect your kindle and has a professional look and feel. Designed by Amazon to protect and perfectly fit your Fire HD 8 (compatible with 7th and 8th Generation – 2017 and 2018 releases). Automatically wake your tablet or put it to sleep by simply opening or closing the case. Amazon Cases for Fire HD 10 5th Gen. Slim, form-fitting case designed by Amazon to perfectly fit your Fire HD 10 and provide full front and back protection. The case is easy to attach and remove, with an integrated magnetic closure to ensure your cover stays shut while on the go. Leather Cover for Amazon Kindle Paperwhite - Purple. Designed by Amazon to be the lightest and thinnest protective cover for Kindle Paperwhite (will not fit Kindle or Kindle Touch). Wake or put your device to sleep by opening or closing the cover. Fits HD Fire 10 5th Generation. Amazon Fire HD 10 Cover/Case. ---Durable/Great for kids ---Shock Proof ---Matte Design Finish ---Silicone/Gel-Rubber ---THESE TABLETS ARE USED, THEREFORE MAY HAVE SCUFFS/SCRATCHES AND VARY IN COSMETIC CONDITIONS ---Includes: ONE Amazon FreeTime Child Proof Case. ---Does NOT Include: Original Box, And or any other accessories that may come along with the tablet. Open box, new, never used. Box torn and can have scratches, scuffs, stickers from the shelf handling. Trending at $9.98eBay determines this price through a machine learned model of the product's sale prices within the last 90 days. Designed by Amazon to be the lightest and thinnest protective cover for Kindle Paperwhite (will not fit Kindle or Kindle Touch). Wake or put your device to sleep by opening or closing the cover. Premium natural leather exterior protects with style. Designed by Amazon to protect and perfectly fit your Fire HD 8 tablet (only compatible with 7th Generation, 2017 Release). The slim design with a built-in stand allows hands-free viewing in landscape or portrait orientation. Trending at $10.10eBay determines this price through a machine learned model of the product's sale prices within the last 90 days. Trending at $10.59eBay determines this price through a machine learned model of the product's sale prices within the last 90 days. Designed to perfectly fit your all-new Kindle Paperwhite (10th Generation only—will not fit prior generation Kindle devices). Our thinnest and lightest leather cover ever created for Kindle Paperwhite allows for hours of comfortable reading. 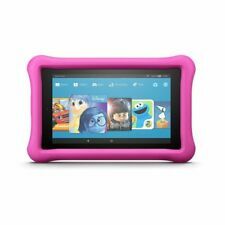 Keep your Amazon Fire 7 Kids Edition safe from fumbling fingers with this Amazon Kid-Proof case. Compatible with Amazon Fire 7 (7th Generation, 2017 release). Fits perfectly in little hands without adding unnecessary weight to your tablet. (Before purchasing. wrong color sent). Made from a lightweight, durable, kid-safe material. Up for sale is. Designed by Amazon to perfectly fit your Kindle Paperwhite – Will fit past Paperwhite generations but no other Kindle model. Slim design easily and securely attaches to your Kindle. Cover can remain on the Kindle for charging. Kindle Oasis Case, J&D Amazon Kindle Oasis Cover Heavy Duty Protective Slim Lightweight Case with Auto Sleep/Wake Feature. New in open boxes, boxes may be crinkled or slightly torn/taped. If a best by or expiration date is on the item, we will notate that. Add a layer of protection for your tablet without compromising on functions with this Amazon Fire HD 8 case. The built-in stand on this Amazon Fire HD 8 case is perfect for propping on an airline tray table. Fits HD Fire 8 5th Generation. Amazon Fire HD 8 Cover/Case. New in slightly torn, taped box. If a best by or expiration date is on the item, we will notate that.